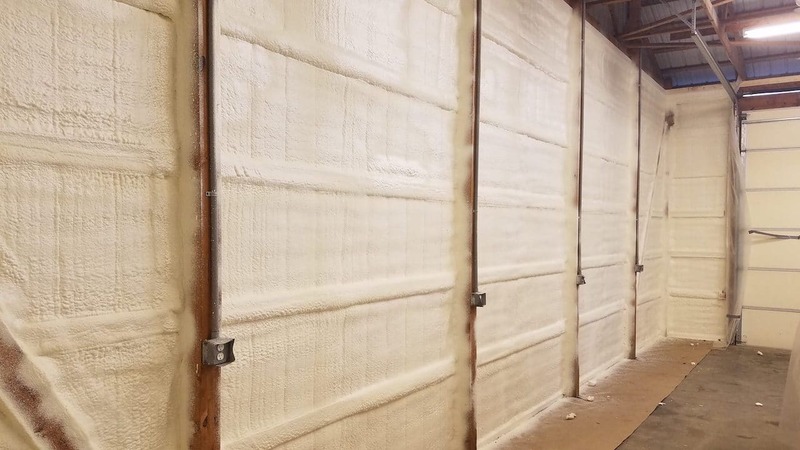 Spray foam – the best pole barn insulation Michigan has to offer. 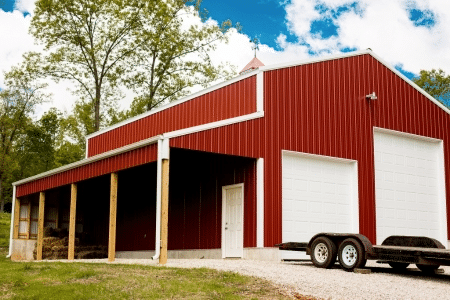 Have you recently built a pole barn on your property? Congratulations! This great investment you just made can be even better with the right insulation. Now you can get the best pole barn insulation Michigan has to offer from Michigan Spray Foam Insulation! We install spray foam in pole barns because of the space-to-insulating-capability ratio (yes, we definitely made metric up). But what we can’t fabricate is the fact that spray foam takes up a fraction of the space traditional insulation does while performing 2X better! Request a Free Insulation Consultation and We’ll Call You! Insulating pole barns, which are also known as “post frame buildings”, with spray foam insulation helps with the durability of the structure. Plus, you’ll finally have a regulated temperature within your space without spending hundreds on heating and cooling each month. 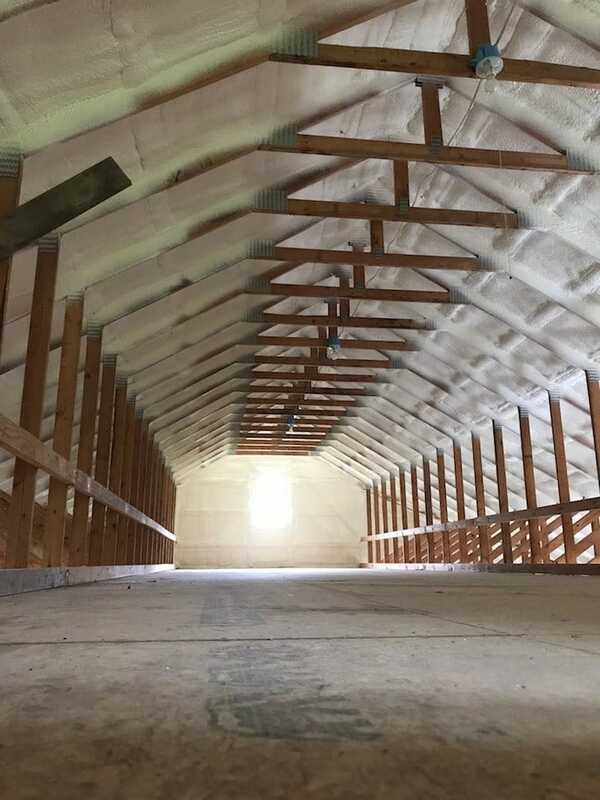 Whether it’s your home, workplace or pole barn, Michigan Spray Foam Insulation is your go-to insulation contractor to handle pole barn, attic and basement insulation installations. We want to make sure all our customers are educated well when it comes to insulation. So read on and learn why we think spray foam is the best option for pole barn insulation. 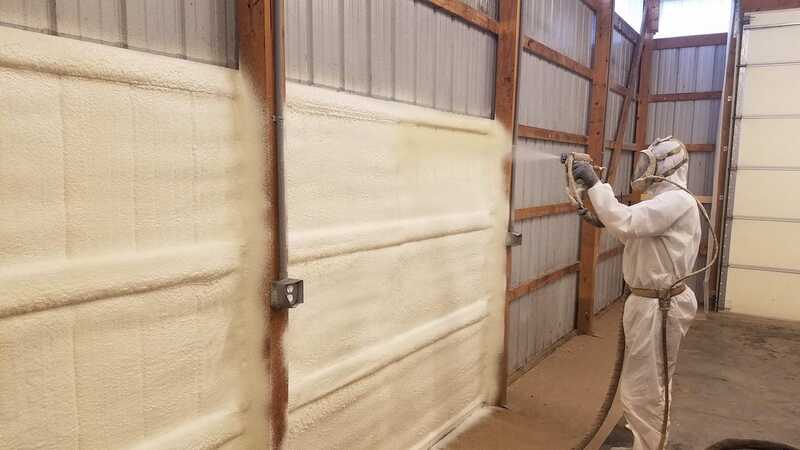 Why spray foam for pole barns? When insulating a pole barn, you lots of options to choose from. For instance, there’s fire-resistant Blanket Fiberglass Insulation; Foam Board Insulation that offers thickness to exposed walls of pole barns and the Loose-fill Cellulose Insulation for covering attic patches. Then there’s Spray Polyurethane Foam Insulation. This is a superior insulation material and our choice for pole barns as it covers and seals many gaps and air leaks that would otherwise be exposed with any other insulation. Plus, its incredible R-value allows for a much more significant reduction in energy consumption. It’ll cut those power bills in half, maybe more! 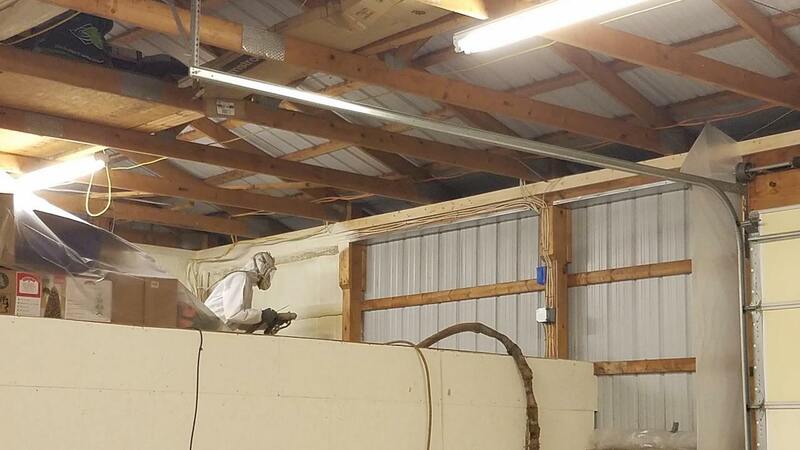 Lastly, spray foam is a favorite of many pole barn owners because of how little space it uses. That’s what you made your pole barn for anyway, right? More space! Even just a couple inches of spray foam can insulate the largest of barns better than any other insulation material. Call us today for a free insulation consultation!